What is Gray Line Las Vegas's cancellation policy? Easy Cancellation Policy: Fully refundable when canceled up to 24 hours prior to departure under Gray Line's Easy Cancellation Policy. Within 24 hours of tour time, there will be a $25/person charge to change the date. The following items are prohibited on our motorcoach tours due to security restrictions at the Hoover Dam: luggage, large backpacks, suitcases, briefcases, coolers, and alcohol. If an item has not been listed, please verify with your reservations agent prior to booking. All passengers must bring a valid government issued photo I.D. - no exceptions. Why is this so inexpensive? What's the catch? No catch - the casinos of Laughlin want you to take this Golden opportunity to experience Laughlin, Nevada. We'll travel through the Eldorado Valley on our way to this "Oasis in the Desert". 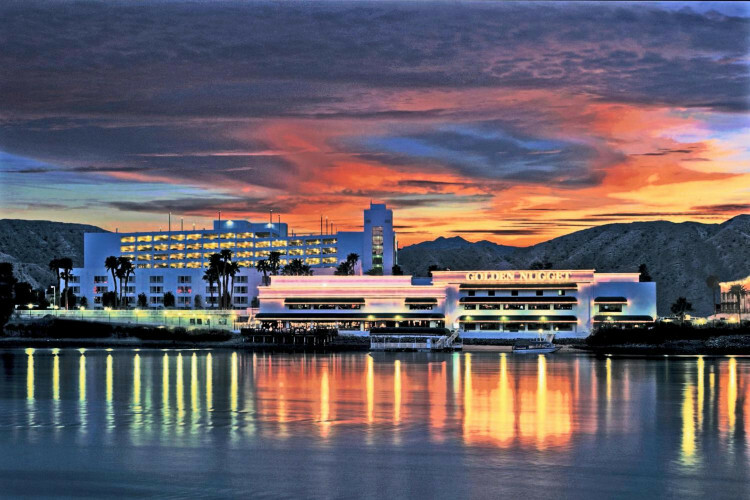 Located on the banks of the Colorado River, Laughlin is a great getaway from the hustle and bustle of Las Vegas. Our drivers provide live narration along this approximately 1-hour drive from Las Vegas. You've got 6 hours on your own to explore Laughlin. This resort destination boasts abundant golf courses and spas, year round near-perfect weather, and even a wedding chapel or two. Don't forget the casinos - try your luck in the casino, you may come out of this inexpensive trip ahead of the game. Book today and have some fun! Every Friday morning at 9:00AM PST, LasVegasCalendars.com will send to your email the calendar of the top Las Vegas events that will be taking place in the upcoming 7 days.